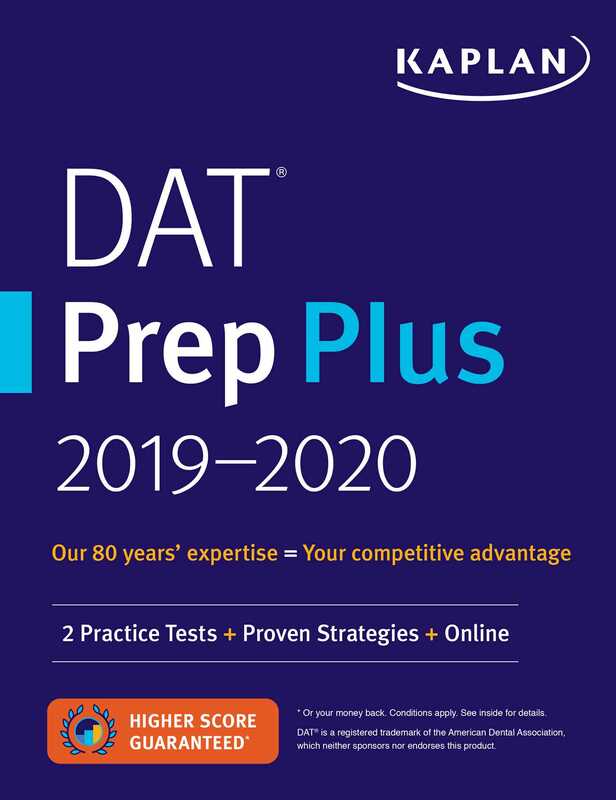 Kaplan's DAT Prep Plus 2019-2020 provides the test-taking strategies, realistic practice, and expert guidance you need to score higher on the Dental Admissions Test. Our comprehensive updated subject review reflects recent changes to the blueprint of the exam, question types, and test interface. You'll get two full-length practice DATs and expert tips to help you face Test Day with confidence. We're so confident that DAT Prep Plus offers all the knowledge you need to excel at the DAT that we guarantee it: After studying with our online resources and book, you'll score higher on the DAT—or you'll get your money back. The previous edition of this book was titled DAT 2017-2018 Strategies, Practice & Review.